Sometimes a perfume is just a perfume; sometimes a perfume is an exquisite yet invincible piece of jewelry that adorns your body. 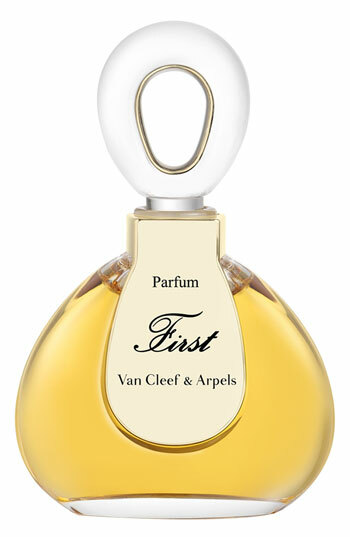 If you pick up Van Cleef & Arpels’ First perfume, you will instantaneously discover that every fragrance note woven in this perfume represents a precious gem. While nowadays, the most renowned jewelry companies have their fragrances, it was actually Van Cleef & Arpels who pioneered the marriage of jewels and perfumes. In the year of 1976, Jacques Arpels had a dream of creating the first jeweler’s perfume. If jewelry is worn to enhance the beauty of the wearer, to charm the eyes of the observer and complement the prowess of the craftsman, then perfume is worn to combine all of this in an invisible yet exquisite thread. When two geniuses get together, then the end result must be nothing less than breathtaking. The beautiful olfactory prodigy, aptly named First, is a creation of the hands of Jean-Claude Ellena, and the bottle design is a result of Jacques Arpels’ mastermind vision of celebrating femininity. 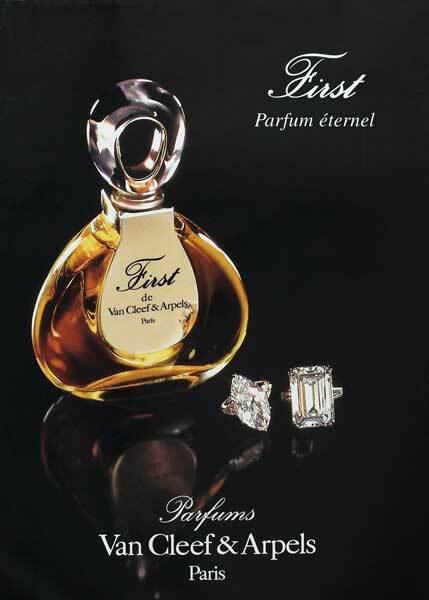 First is a perfume which speaks for itself. You will rarely find it listed on some iconic fragrances top list, not because it not worthy of its place, but because this jewelry house intents that the perfume must be discovered by the women, rather than the other way round. It is a celebration of femininity in its finest form, through a translucent ornament, enabling women all over the world and all walks of life to experience luxury, exquisiteness, and imagination on a whole new level. The opening notes of First greet you with aldehydes and fruit accord. It enchants you, like a forbidden path into the woods that simply lures you inside, promising to unravel the mystery at your feet. Then, when the enchantment begins, you are thrown into the magic of jasmine and rose, opening a door to a world dominated by brazen amber and sunburst of sandalwood. Luxury and sophistication, elegance and modernism, the finest specimen of perfume which one can wear. Just like every piece of jewelry that leaves the premises of Van Cleef & Arpels, First is a divine product that serves you imagination in a world limited by eyesight. First is an obligatory lesson for every woman who takes the course of femininity.